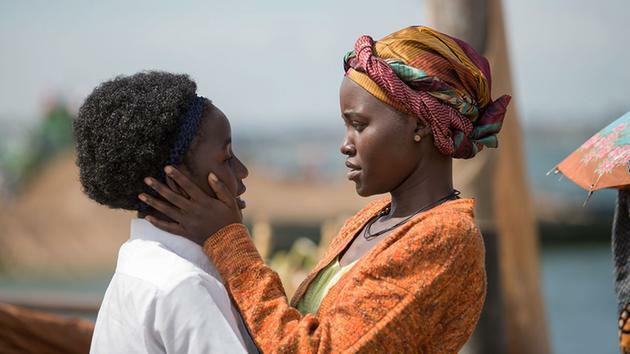 Walt Disney Studios has released the first official trailer for Queen of Katwe, starring Lupita Nyong'o and David Oyelowo! The film's plot focuses on the inspiring, true story of Phiona Mutesi, played by newcomer Madina Nalwanga. Living in the slums of Katwe in Kampala, Uganda, the 10-year-old girl sells corn on the streets, but soon has a life-altering encounter with Robert Katende (played by David). David's character is a soccer player-turned-missionary who teaches the local children chess in hopes of giving them confidence and life skills. Phiona soons proves herself to be an amazing chess player, going on to play in various competitions, as her community and mother Harriet (played by Lupita) rally behind her! Leaping over barriers, Phiona goes on to play in the Olympiad, competing against top chess players across the globe -- many of them adults.